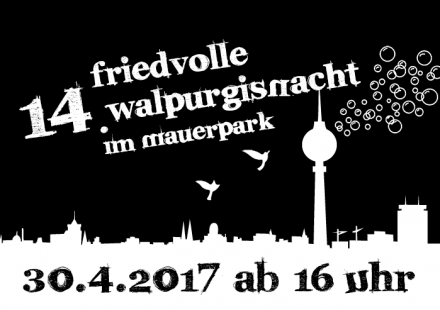 Take part in Mauerpark’s Friedvollen Walpurgisnacht! On 30th of April we will have a colorful and peaceful Dance into May at Mauerpark, with a bonfire, fire artistry and lots of music. 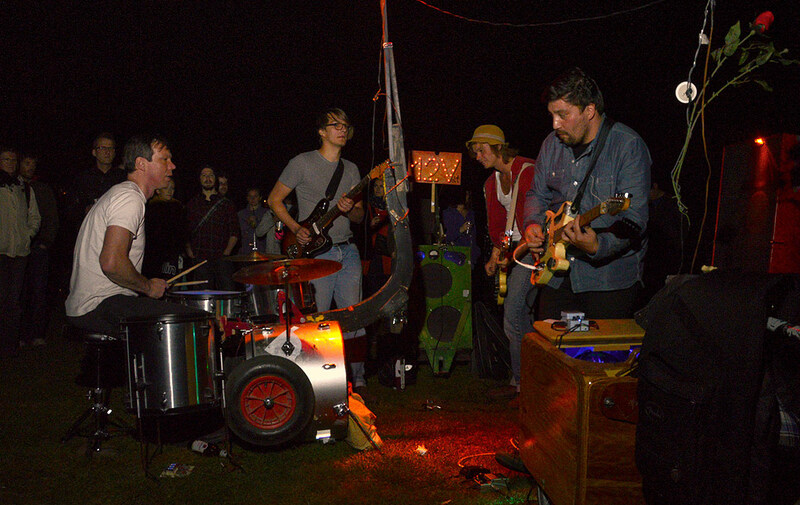 You’re a witch, fire artists, musicians or you have a band? Then be creative and be part of a diverse community to celebrate this special night! 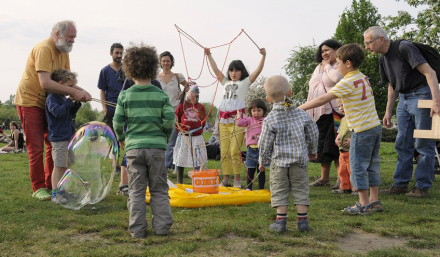 The eve of May Day was once more a lively party for young and old. It featured soap bubbles, prayers for peace, dance floors, live music, drumming, a campfire, and fire artistry. Building on the success of last year, there was no ban on bottles and cans. 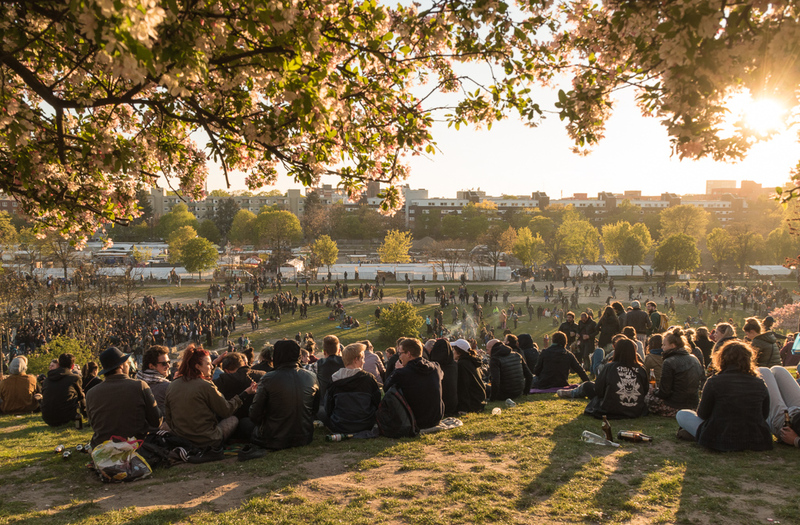 The good cooperation between artists, Friends of Mauerpark, the police and the borough that has developed in recent years ensured that everything ran smoothly and everyone was able to enjoy a relaxed and peaceful atmosphere. 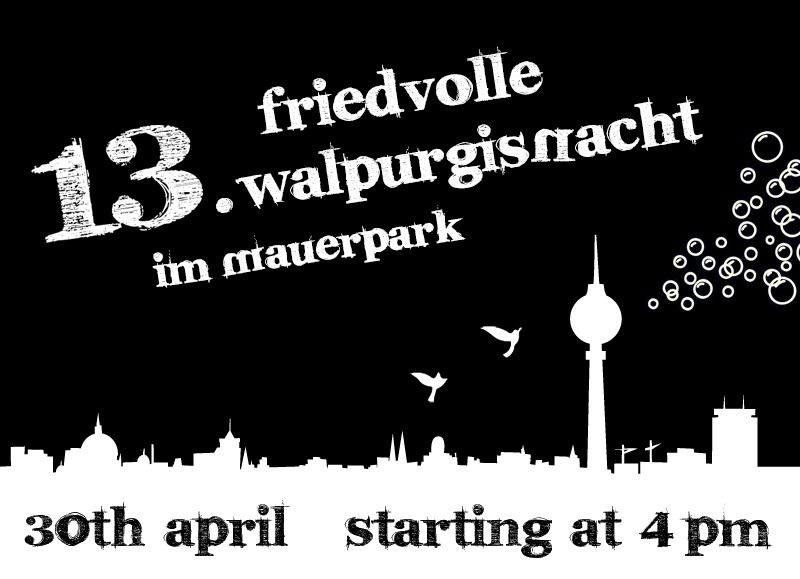 Mauerpark saw 12,000 visitors on 30 April this year. 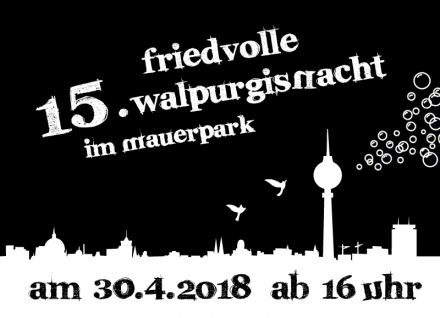 The combination of a sunny Mauerpark Sunday with the usual flea market and karaoke was the perfect prelude to the Walpurgis Night celebrations that went on into the small hours. 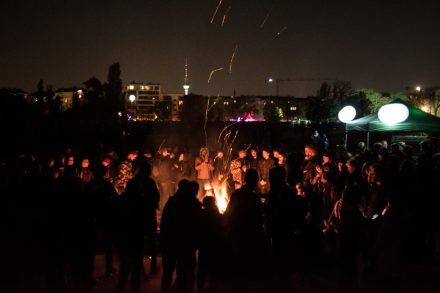 The artists in the Mauerpark enchanted the crowds both during the day and in the evening. The event was once more a powerful illustration of the transformation this inner-city public green space has undergone. 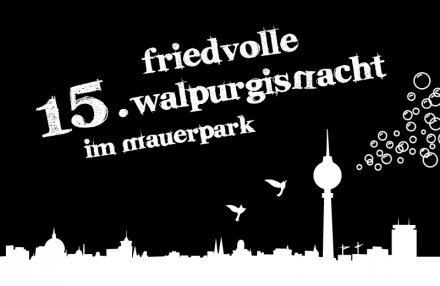 This park is on the site of the former “death strip” – the no-man’s land that used to be part of the Berlin Wall. Once filled with watchtowers, armed border guards and attack dogs, it is now the city’s most popular place for young people from all over the world to meet, relax and have fun on Sundays. Many thanks to Peter Pan with his “Love your enemies” initiative, to all the artists and to the volunteers without whose untiring commitment these celebrations would not have been possible. 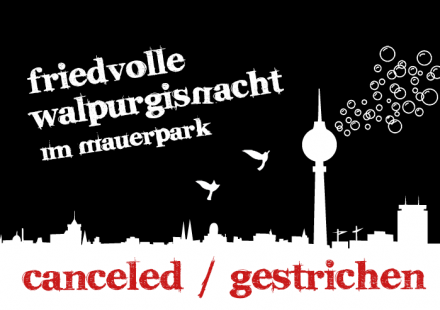 A special thank you goes to the officials of the Borough of Pankow, to the Mauerpark flea market, the Mauersegler beer garden and, last but not least, to Ballon-Werft. 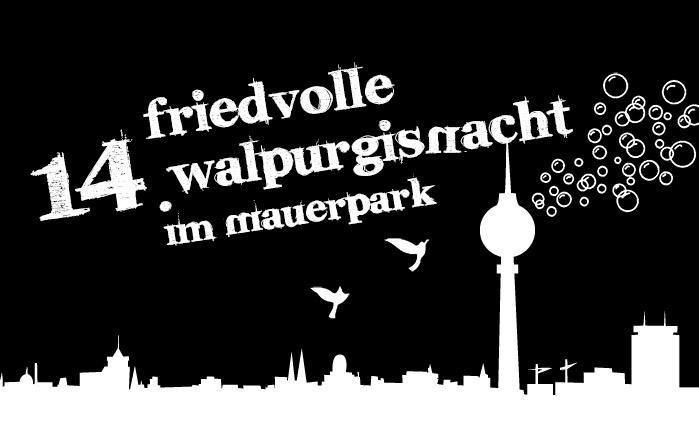 Photos and impressions on Flickr and on the Walpurgisnacht website. Some of the people joining us this year: Peter & Pat, Team-Fox, Zirkus Internationale, Fire Circles, Hope Center, Bearpit Karaoke, Dub der Guten Hoffnung, Herz & Leber, Puto Productions and 12 Volt – to mention just a few. Our celebrations will end just before midnight. After 1.00am, please spare a thought for the people who live near the park and would like to get a good night’s sleep! 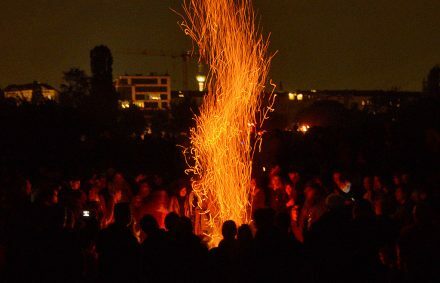 For the last 13 years, the organisation Liebet Eure Feinde (Love your Enemy) – with the support of Freunde des Mauerparks e.V., the local authority, numerous artists and residents – have worked to make a Walpurgis Night celebration that is creative and peaceful. The following artists and projects are supporting us: Peter & Pat, Team-Fox, Fire Circles, Dub der Guten Hoffnung, Johanna Zeul, 12 Volt, The OneWoman Company, u.v.m. At 7.00 pm we will express our hopes and wishes for peace in the form an interfaith prayer. Everyone of any faith is welcome to join in. Our celebrations will end at midnight. 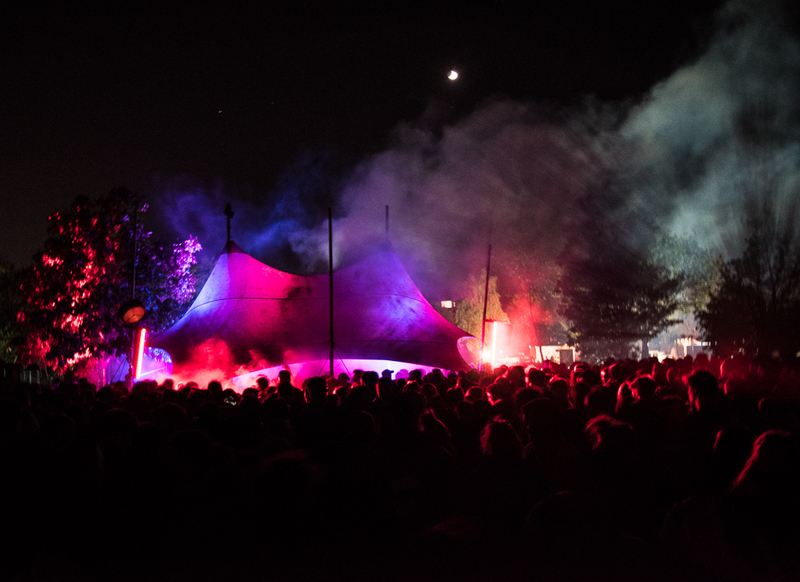 After 1.00 am, please spare a thought for the people who live near the park and would like to get a good night’s sleep! We look forward to enjoying a peaceful Walpurgis celebration with you. Take part in Mauerpark’s 12th Peaceful Walpurgisnacht! You’re a witch, fire artist, or musician? Then be creative and be part of a diverse community to celebrate this special night!